Charlotte was born and raised in the Eden Valley. She obtained a BA (Hons) in Economic and Social History from the University of Hull in June 1998, followed by completing the Common Professional Exam in June 2000, the Legal Practice course in June 2001 and qualifying as a solicitor in November 2003. 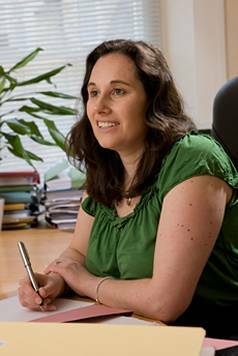 Returning to the local area, she joined Heelis Solicitors in 2005, becoming a director in the firm in 2007. Following the merger with Arnison and Co Solicitors, Charlotte now runs the office in Appleby specialising in conveyancing, the preparation of wills and powers of attorney and the administration of estates. Over the course of her career, she has helped thousands of families and individuals. Charlotte enjoys music, whether it be singing in a local group, attending concerts or playing for her own pleasure. She also loves spending time with her family and travelling abroad when possible.